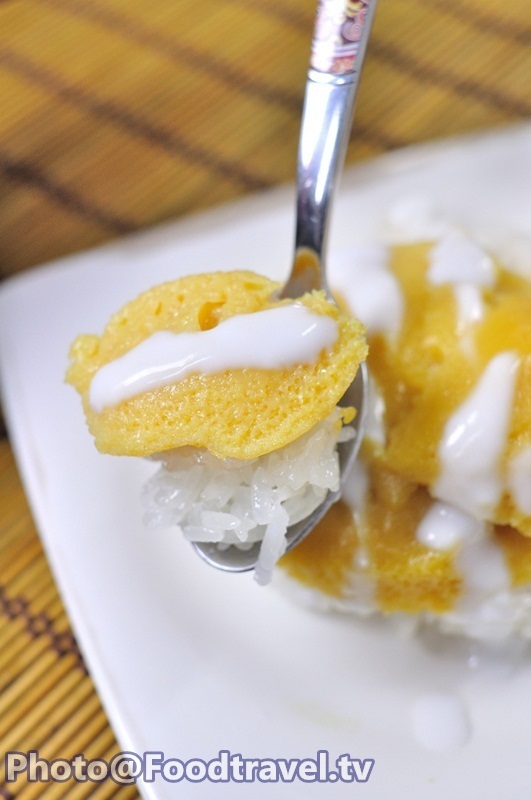 Sticky Rice and Egg Custard (Khao Niaw Sang Ka Ya) - well known dessert that you can found almost everywhere. 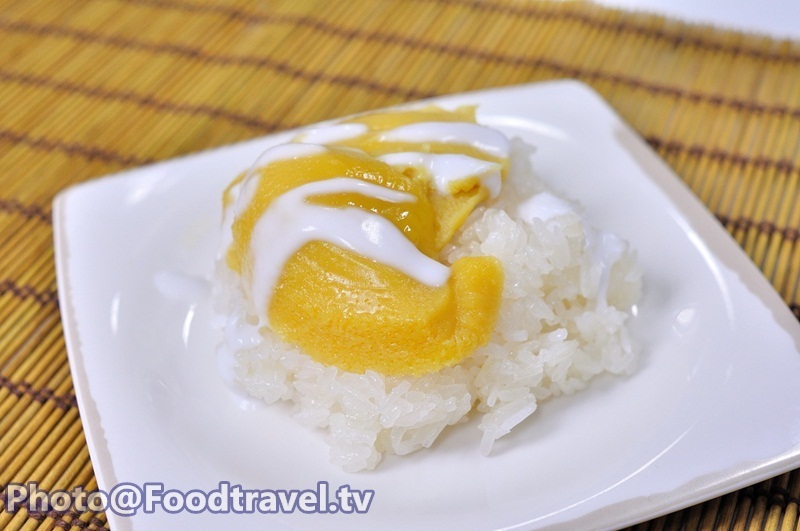 Whether at a fresh food market or morning market. 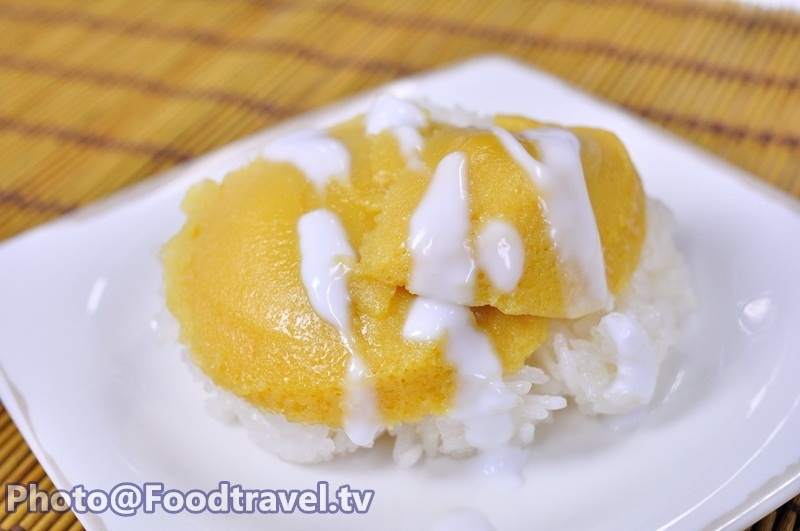 With delicious sweet of sticky rice and soft custard. 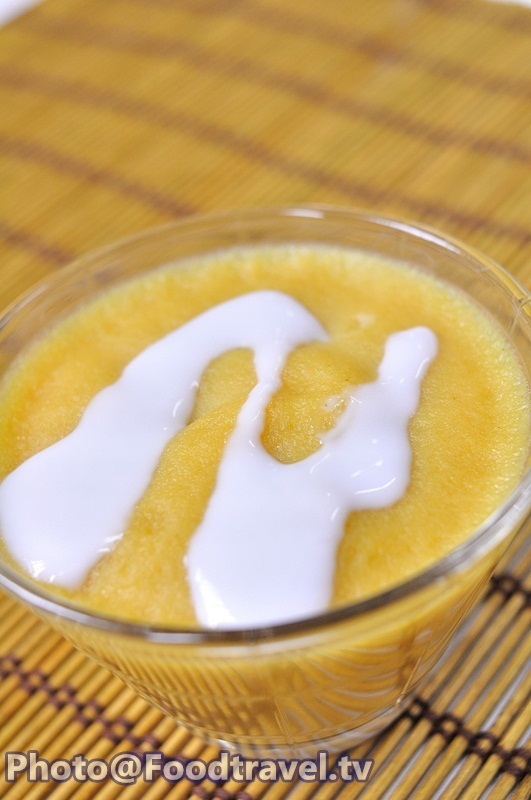 Flavor with dressing coconut milk that so mellow. Sweet and salty taste in one taste. 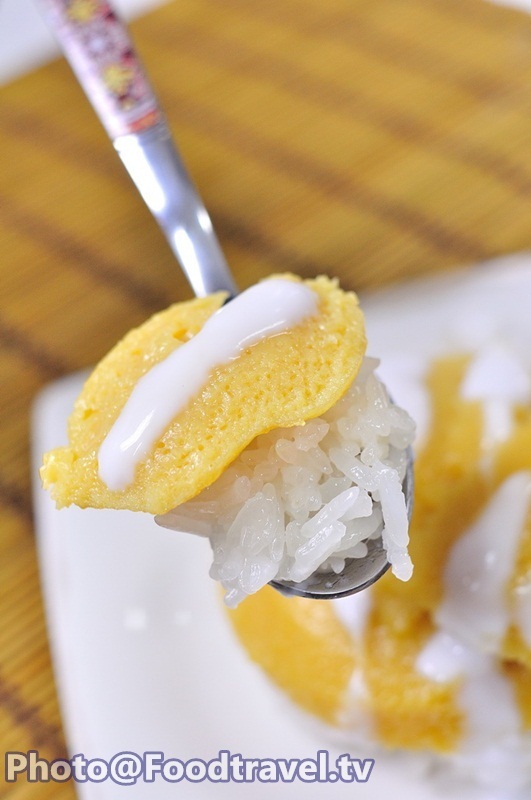 This is a favorite dessert of many people. 1. 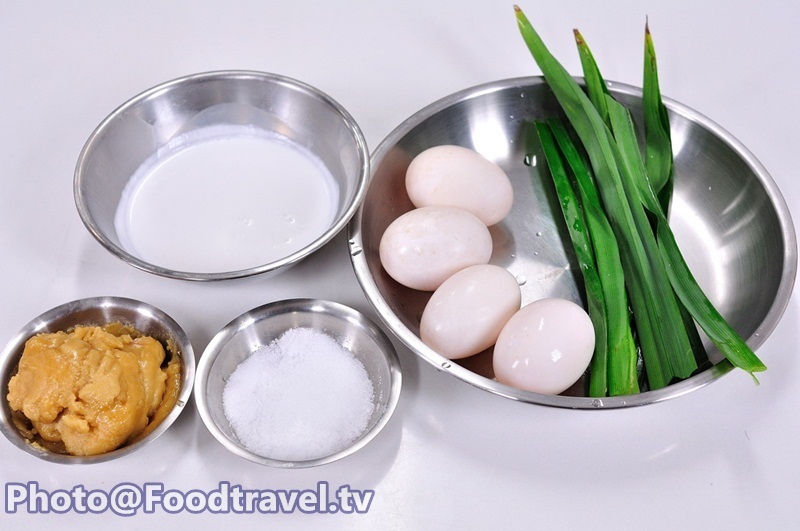 Beat eggs in a bowl, mix the duck with salt, palm sugar, coconut milk and pandan leaves. 2. 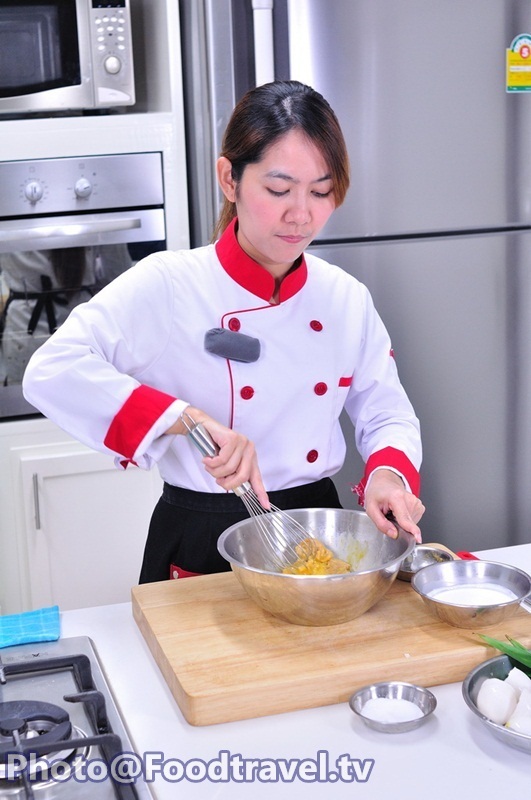 Mix all ingredients together with hand until palm sugar melt perfectly. 3. Filtrate the mixture by strainer. Pour in a bowl for steaming. 4. 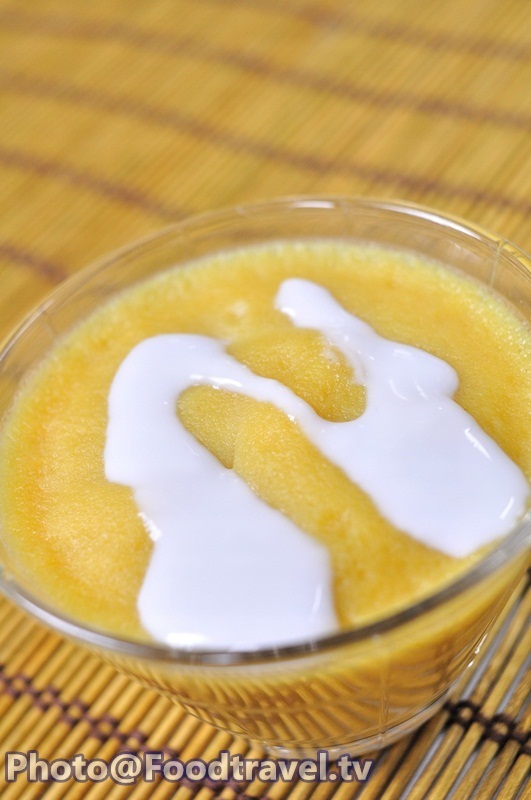 Steamed custard for 30minutes. 5. 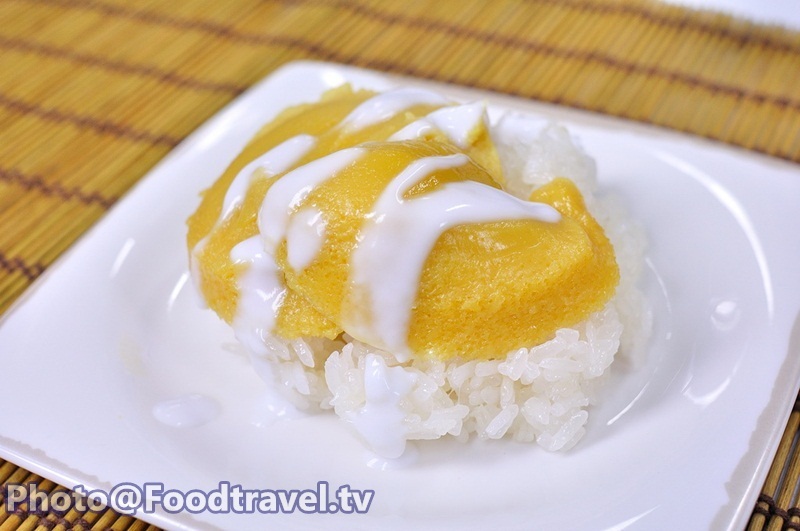 Paste custard on the sticky rice. 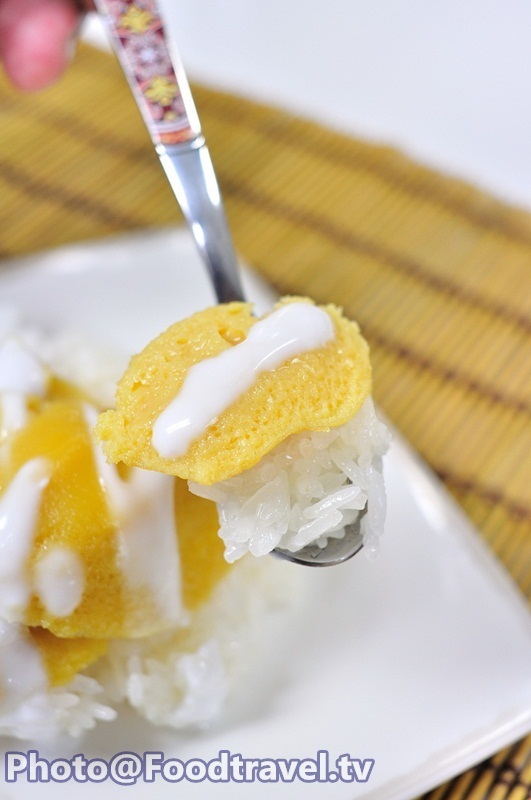 And dressing with coconut milk. Ready to serve.